Planning a company picnic can be fun and exciting but it can also be stressful and complicated. There are many things to oversee which will ensure that your company’s picnic runs smoothly. With so many things to think about, leave the catering to us. This will alleviate your stress by not having to worry about the food and drinks. We will provide those for you. Work Picnics can be a fun way to break up the work week, reward your staff and encourage people to make connections. At John Potash Catering, it is our pleasure to help you boost your company morale with a fun work picnic. At John Potash Catering, we have experience executing picnics large and small. It doesn’t matter how many employees, friends and family members you’re inviting, we’ll make sure that there is plenty of food, drinks and fun for everybody. Here are some pointers to help get you thinking about the kind of picnic you want to have. Once you have that figured out, give us a call and leave the rest to us! This is an obvious point, but a good one to think about. Where will your event take place? Will it be outside, or indoors? We can accommodate any location and not have it compromise the quality of our service. We have worked with a variety of venues in and we’ve seen it all. Will it be weekday or weekend? We can accommodate any time! Just let us know. We can work around your schedule to make this picnic as easy and smooth as possible. We are excited to help you plan your perfect company picnic. We have a variety of diverse menu items to suit the needs of your company. We specialize in different cuisines. Whether it’s a buffet or BBQ, we have got you covered! 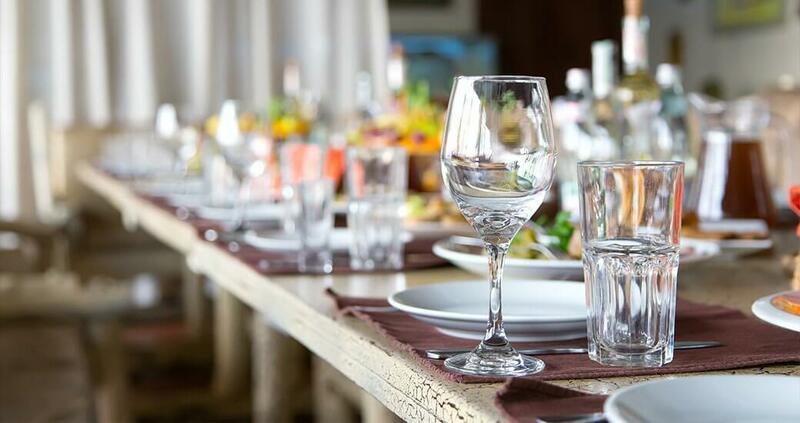 Whatever kind of menu you choose, we at John Potash Catering will provide all cooking and serving equipment that is needed to execute the event. We will ensure that our food is the freshest, most delicious and highest quality for your guests. Will there be children at your company picnic? If so, consider hiring a clown or renting an inflatable jumping air castle. Other ideas include face painting, a petting zoo, photo booths, pie eating contests and ring-tosses. What about a raffle? Consider a raffle to raise money for a cause in exchange for a fun prize. After considering these few points, give us a call. We are proud to say that we will be able to meet any of these requests, and provide full or partial service catering. Remember, we at John Potash Catering are here to serve businesses big or small. We want to ensure that your work picnic gathering is perfect. Call us today!